The coauthor of the Washington Post’s bombshell story on the National Security Agency’s PRISM surveillance program is a long-time activist filmmaker who has railed against U.S. counterterrorism policies put into place after the Sept. 11 attacks. Filmmaker Laura Poitras, who shared the lead byline with former Post journalist Barton Gellman on the paper’s front-page NSA story, is not on the Post’s staff and is not a print reporter. 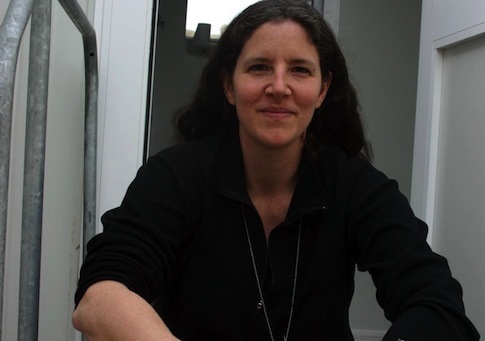 Poitras has criticized the "illegal" Guantanamo Bay detention facility, described enhanced interrogation techniques as "legalized torture," and criticized the intelligence community’s surveillance methods in her films and public comments. While traditional media outlets have previously covered stories broken by activists in alternative publications, the Post’s NSA story is the most prominent example of an established paper giving a political activist an actual byline in its news section. Gellman told the Washington Free Beacon that Poitras approached him in February to help her assess anonymous emails she was sent by the professed NSA leaker, Edward Snowden. "[Poitras] and I had been fellows together at NYU's Center on Law and Security, and I admired her work," said Gellman. "She knew I had done a lot of reporting on surveillance issues and that I know how to communicate securely. In February she asked me to help assess the credibility of the source's anonymous emails." Gellman said he and Poitras "spoke then of the possibility of partnering in some unspecified way if the story played out." Gellman said he helped Poitras frame questions to help verify the information provided by Snowden, but that Snowden was primarily Poitras’s source, even after Gellman began to communicate with him directly. After they received the document from Snowden, "Laura and I evaluated it together and decided to partner on a story about it in the Washington Post," said Gellman. The Post’s initial story was amended after publication to remove the allegation that tech companies knowingly participated in the NSA surveillance program and soften the claim that the government was given direct access to the companies’ servers. The changes sparked accusations from commentators that the initial reporting had been colored by bias. "It’s clear that the reporting by [the Washington Post and the Guardian] was filled with possibly agenda-driven speculation and key inaccuracies," wrote the Daily Banter’s Bob Cesca. Why the Post decided to publish an article co authored by a filmmaker whose activism is related to the subject of the story is still unclear. The Post’s spokesperson Kris Coratti declined to comment on the paper’s decision-making process when contacted by the Free Beacon. "I'm not sure if you missed this on the story: ‘Poitras is a documentary filmmaker and MacArthur Fellow,’" said Coratti. Martin Baron, executive editor of the Post, defended Poitras’s involvement, calling her "a respected documentary filmmaker, the winner of numerous prestigious awards, and a MacArthur fellow." He said she did not have a role in actually writing the story. "She was intimately involved in our getting the story," said Baron in a statement. "She didn't write the story, and she didn't edit it, but she worked with Bart Gellman to make sure we had it. The documents to which we gained access revealed a major surveillance program, and the story was accurate. We had no reservations about giving her a byline as credit for her role." The Post did not respond when asked whether it would give other activists bylines on stories that they provided critical information for. Coratti also declined to comment on whether Poitras’s activism posed a real or perceived conflict of interest. The Post’s conflict-of-interest policy suggests that Poitras’ inclusion on the byline is unusual. "We avoid active involvement in any partisan causes–politics, community affairs, social action, demonstrations–that could compromise or seem to compromise our ability to report and edit fairly," the policy states. Poitras said in a 2010 interview with Creative Loafing Atlanta that Americans have "abandoned our principles in dealing with the threat of al Qaeda" and called the existence of the Guantanamo Bay detention facility "tragic." "If we had all gone into a coma on Sept. 11, and we woke up today—well, we have this prison called Guantanamo, we have a kill list, we have legalized torture, we have the [National Security Agency] spying on us," Poitras said during a discussion at Duke University last October. "We would think, ‘What happened? What has happened to the country?’"
She also called for hearings over the Guantanamo Bay detention facility, characterizing the prison as illegal. "I still can’t believe we haven’t had hearings over Guantanamo," Poitras said. "If we perceive ourselves to be a country based on a rule of law, things should be different." The filmmaker has also criticized U.S. intervention in Iraq and spoken about how she wants to "shift the politics" on U.S. national security. "If you were to imagine the devastation that Iraq has gone through—that an entire people have been displaced, an entire intellectual class has been wiped out—it will take generations to recover from this devastation," said Poitras. "If Americans could grasp the devastation, it would shift the politics, and that’s the hope." Poitras, along with the Guardian’s left-leaning opinion writer Glenn Greenwald who broke the PRISM story for the paper’s news section, also sits on the board of a newly formed activist group that supports government leaks and helps fund Wikileaks, ABC News reported on Sunday. The Freedom of the Press Foundation was formed six months ago by famed Pentagon Papers leaker Daniel Ellsberg, according to ABC News. The organization has not been granted tax-exempt status but is sponsored by the left-leaning online magazine Mother Jones. Mother Jones’s Washington bureau chief David Corn praised Greenwald’s and Poitras’ scoop in an interview with the New York Times on Monday. "If the leak is big enough, it doesn’t matter what platform you choose," said Corn. "If it has merit and wow factor, you will get your story out." Poitras shared a byline with Greenwald for an interview with Snowden in the Guardian. She has also worked closely with Julian Assange on a documentary about Wikileaks and is currently in Hong Kong with Snowden, she told Salon in an interview this week. The Free Beacon attempted to contact Poitras through the Freedom of the Press Foundation but did not hear back as of press time. The Guardian did not respond to requests for comment. This entry was posted in Issues and tagged Glenn Greenwald, Media, Washington Post. Bookmark the permalink.